A dog is always happy to see its people. 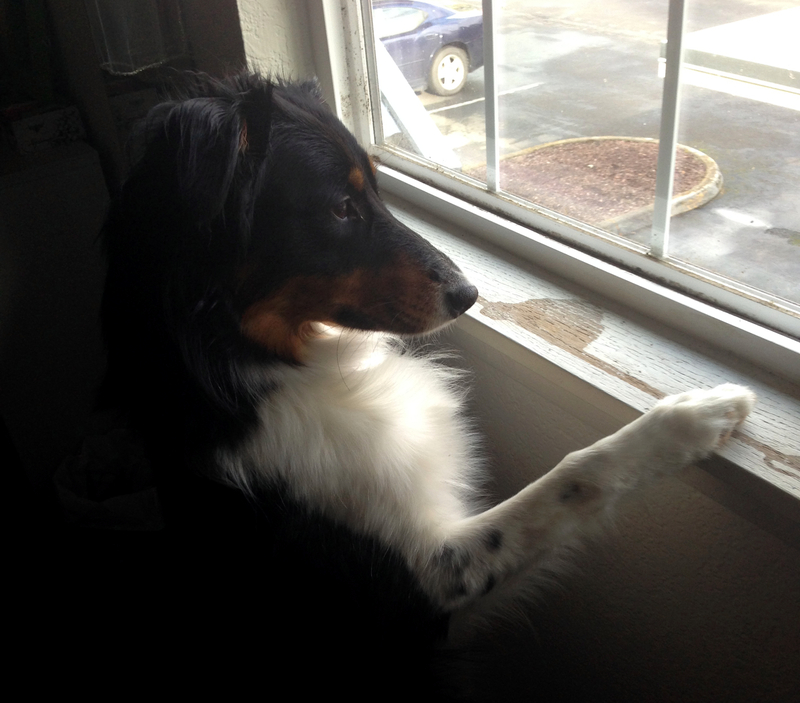 Every time Sophie hears Riel coming home from work, she watches his car pull up then runs to greet him at the front door. She does the same thing for me. It’s so easy to make her happy! (See other things that Sophie loves here). It almost makes up for the drywall we’ve been patching recently… more on that later! Awwe. There’s nothing like a dog to lift your spirits after a long day at work!